Online business is all about fulfilling a need and building trust online, but the sacrifices required for a remarkable success goes beyond all that. While setting up an online business may not cost as much as many fear, the reason why most people fail can be traced to some obvious mistakes that are overlooked like having unrealistic expectations regarding profits as well as trying to get involved in so many things at the same time. However, there many more reasons why entrepreneurs have negative experiences about such businesses. To better your chances at becoming successful as an online entrepreneur, do what you can to avoid these very common mistakes at the point of kick-starting your online business. Due to several business transactions that are happening online, we can easily forget that customers are people who have feelings and that they have every reason to return to your site when they’ve had a fantastic experience. Have an efficient communication means of keeping up with your customers. It could be through survey, live chat, phone or email. You can keep an eye on what’s going on in social media sites regarding your brand, and visit review sites such as Yelp to understand why a couple of persons may be unhappy with your product, and then try reaching out as fast as you can. High performing and reliable web hosting plays a crucial role in the success of any website. At the point of building a new website, web hosting is normally the last thing anybody thinks about. However, failing to choose the right host for your business could yield some pretty disastrous effects eventually. In order to prevent it check different sources for hosting info and to understand at least basics of web hosting. With the plethora of hosting options available, it is easy to tag along with an affordable option. 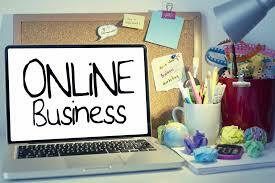 Try to see web hosting as part of your investment. See your host as your site’ foundation. You do not want to build your home on a weak foundation. Also, avoid building a foundation with a web-hosting company that has got low-quality in their services. Before you become a reliable consultant or a trusted seller, luring your customers with free offers can be a brilliant way of boosting conversion; this is especially effective for entrepreneurs who deal on services. Having said that, what you are giving out for free should not amount to so much; instead try offering something that is intangible and useful like a free recipe, eBook, webinar, instructions, guide, webinar or checklist in return for their emails. Entrepreneurs don’t take their time to hire competent people when they are at the point of scaling. And by doing this, they end up with a couple of hiccups down the road, like getting an employee with the wrong skill set, or hiring someone who is never willing to imbibe the company culture. So whenever you are hiring, seek those with the required skill set and qualities that are relevant to your company objectives. The first five hires are very important for the success of your company, igniting the spark that the company will need to succeed. You must have heard of the work/life balance –you can trash all of that! (For the first one or two years). Cut yourself some slack regarding time. If all you are bothered about is time, big opportunities will pass you by without you realizing it. You don’t come up with the greatest of ideas when you are fond of multitasking. You get the big breaks when you are focusing on one thing. Because a strategy or product worked for one company doesn’t make it effective for you. Be reasonably skeptical about what you read as a successful strategy that has been practiced elsewhere, Patel says. If you have the resources of testing product with minimum resource and financial risk, do so.